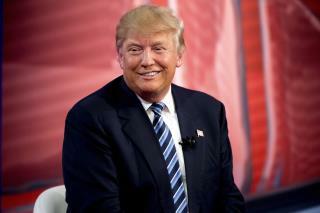 (Newser) – Donald Trump has officially won the South Carolina primary, report the AP, CBS News, NBC News, and Fox News, with 32.25% of the vote. It's the second victory in a row for the billionaire, and a key one in the South, where Ted Cruz invested heavily. This in spite of exit polls that showed that some four in 10 voters made up their minds at the last minute and many broke for Cruz and Marco Rubio; with all votes counted, Rubio edged out Cruz 22.5% to 22.3% in a tight race for second place, reports Politico. Jeb Bush finished a distant fourth with 7.8% of the vote in a state that has favored his family for three decades, leading him to drop out. One year from now, Noiser will be running a story entitled, "Remember when Trump thought he could actually have a chance against President Hillary Clinton?" LOL! I'm somewhat surprised. Even though it's South Carolina, I didn't know there were that many uneducated people living there.